Life can get busy at times. It’s an unavoidable consequence of living in our society. When my life gets busy, I usually get caught up in all the complexities of my existence and I lose sight of the present moment. I value my time practicing martial arts as it helps me step away from my concerns, at least for a moment: nothing keeps you focused on the present as a shinai speeding at your head! I didn’t always have this outlet though, and in the past I sought other ways to cope. In an effort to deal with the daily stresses of my life, I studied a bit of Buddhist philosophy at the temple my family belongs to. The beginner course focused on the first concepts of Buddhism known as the Three Learnings: Precepts (mindfulness), Meditation (awareness), and Wisdom (understanding). These three learnings are the foundation on a path to understanding life through Buddhist eyes. The most memorable lesson I learned through this course was that nothing was permanent and that everything has its time, and when that time is over it passes. Of course this isn’t always the first thought in my head when my next mortgage payment is due, however seeing (at least in hindsight) that all the stress and worry I had for that one issue was no longer there afterward adds to the validity of the observation that everything is ephemeral. With this knowledge, I have tried to keep in mind that even though I feel I am in the middle of a chaos of thought and emotion, this moment will eventually pass. All I need to do is be mindful of myself as I process it all. So how does this relate to martial arts? The lineage of Yagyu Shinkage Ryu (YSR) that I study has strong roots in the practice of Zen Buddhism. It is not surprising that the first kata set is also known as the Three Learnings. These foundational forms are what helps the practitioner in understanding kenjutsu through the eyes of YSR. 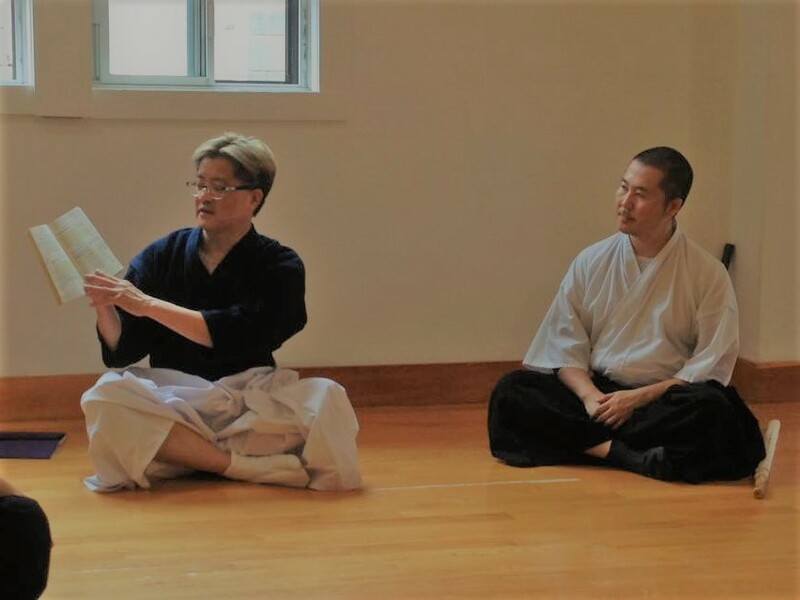 During the September Labour Day long weekend, Sensei Tong held a seminar to examine the Three Learnings of YSR in Ottawa, Canada. Once again organized and hosted by the tireless efforts of Sensei Gaal at the Takahashi Dojo, the two-day training session was filled with an incredible amount of detail. On Day One, Ottawa was in the middle of a heat wave and the dojo could be conservatively described as ‘a little hot’, however all the participants were eager to learn and practice. 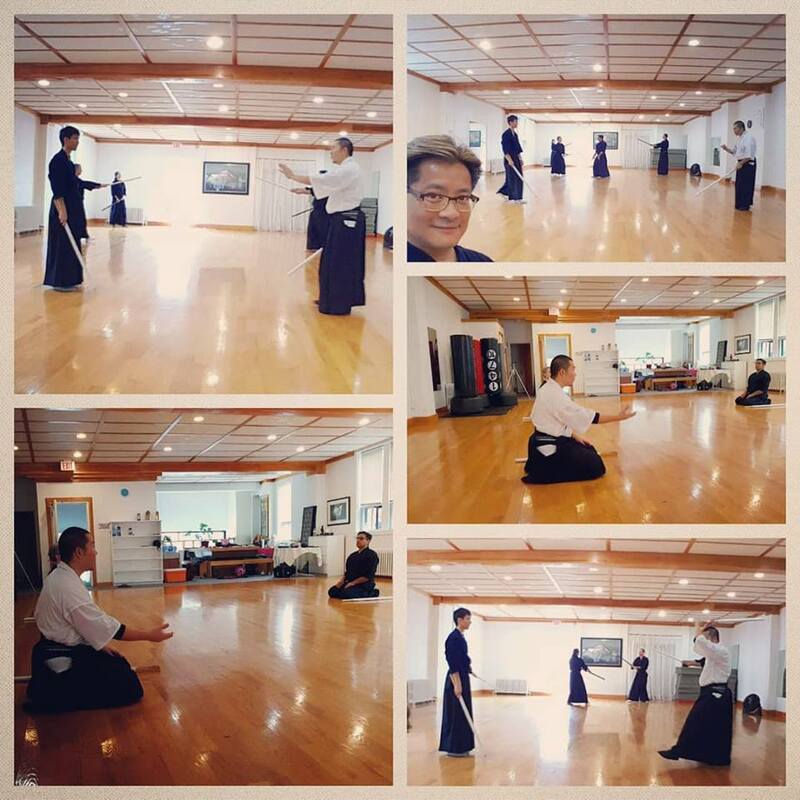 During the course of the afternoon and evening, we covered the five foundational katas that make up San Gakuen, focusing on the A level movements (movements broken down into discrete motions). These foundational methods help to build the students ability to defend themselves through proper body posture, sword control, and body motion. This required us to focus on being aware of where we were in space, and how we move through that space. During our training, we often stopped to gather in a discussion circle to speak about our impressions of the techniques we were learning. These moments of reflection allowed us to contemplate on what we were doing, and shape how we would continue as we moved once again returned to practice. On Day Two, the rains started. However, there wasn’t much relief as the heat simply turned that rain into humidity. 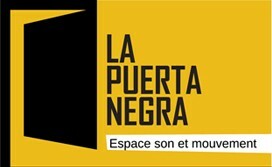 Undaunted, all the participants attended and trained with diligence in an environment that was ‘kind of like a sauna’. This time, we focused on San Gakuen B level, where the previous fragmented movements were smoothed out to encourage fluidity of motion. Furthermore, our reflections of the lessons from the previous day assisted us in beginning to be more mindful of ourselves, and aware of what was happening during kata. As we moved through the difficulties of attack and defense, we began to become aware of the depth of what it is we were doing. During those two days, I noticed that many of the practitioners found it difficult, even frustrating at times, to process and integrate all the information that was being given. As one of the senior practitioners, I tried assist others in understanding the concepts we were working on. I noticed how overwhelmed people began to get at times, and how often that feeling of being overwhelmed turned into self-criticism. I remember all the times I felt the same way, especially while practicing things with a high degree of complexity. During these moments I experimented on trying to focus on the present with my partner and concentrating on one concept. With a bit of time, it seemed that the overwhelmed feeling began to pass and we began to once again open up to the multitude of concepts being practiced. 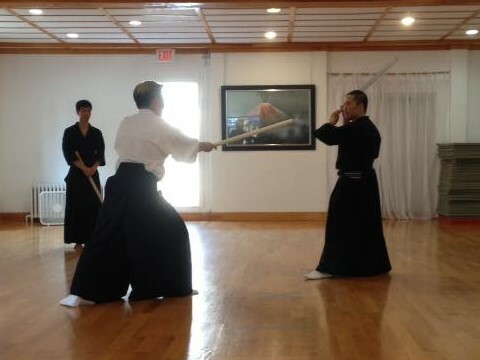 By the end of the second day, I noticed that all of the participants, myself included, had greatly improved on not only the body motions of the kata, but also the mental awareness needed when engaged in sword training. There was a sense of accomplishment and pride in us all for not only climbing a very steep mountain of knowledge, but also coming out the other side with a deeper understanding of our art and ourselves. On the surface, the katas of San Gakuen focuses on learning the forms of YSR, however given the relationship with Zen Buddhism, I believe it has a much deeper meaning. From the San Gakuen of Buddhism one learns mindfulness, awareness, and understanding. In YSR we practice mindfulness through training with care for our partners and our own safety. In addition, the philosophy of saving life, not ending it, is an intrinsic part of our lineage. We also practice meditation in the form of motion. Awareness of the current moment is critical for the safety of all around those around us. In this moving meditaion we practice staying present and aware of that moment. Finally, we work towards an understanding of YSR not only as an art but as a theory of life. If we see our world through YSR eyes, we can begin to understand conflict as something that need not be feared. Additionally, we become aware that in conflict there are many resolutions. We don’t have to WIN in order not to LOSE. Those kind of binary thoughts are illusions and often hinderances to our happiness and our lives. Bringing it one step further, maybe the idea of conflict itself is an illusion. Perhaps what we percieve as conflict can be seen as nothing but another ephemeral thought and emotion in our ever changing lives. 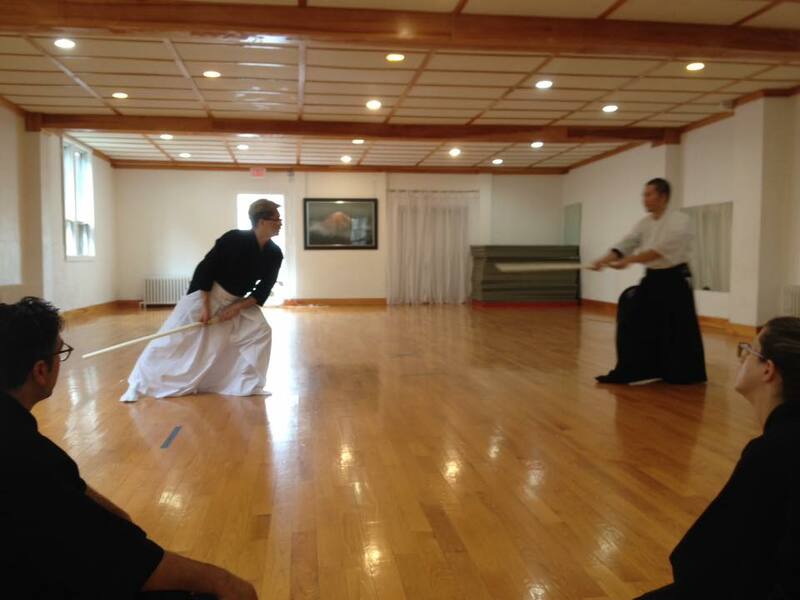 In this way, our training in the San Gakuen of YSR can improve not only our kenjutsu, but also our outlook on life. Thanks again to Sensei Tong for another great seminar, to Sensei Gaal for all her patience in organizing the event, and also all the attendees as everyone worked hard through less-than-ideal temperatures.